This guided meditation celebrates the energy of the wise woman: the quiet and intuitive energy of menstruation. The final phase of the cycle brings us the wise woman: the quiet and intuitive energy of menstruation. The arrival of her period can be crushing for a woman who yearns to conceive. The moon is dark, and so are we. If it’s honoured, though, the energy of menstruation can open up an ideal space for the renewal and intuitive understanding needed on the fertility journey. The stress of pre-menstruation is released as we begin to bleed. During this phase our awareness is diffuse and we’re deeply attuned to the spiritual, so time spent alone in retreat from the intellectual and physical demands of everyday life, unplugging from the world to meditate, journal, and tune in to the quiet inner voice, can provide transformational wisdom and direction. During menstruation, practice extreme graciousness with your body and your heart, carving out time to be still, to listen, to assess your path, realign your perspective, and receive guidance for the month ahead. 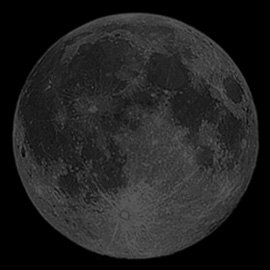 The New moon phase begins on Sunday November 3rd, 2013. Awaken your inner wise woman. Click the video below to find out how. It is great to have confirmation of how i feel and my desire for “alone time” every month around that time in my cycle! I love working from bed when I have my period – one of the perks of being self-employed!